The people of Ireland have long been proud of their Catholic heritage. 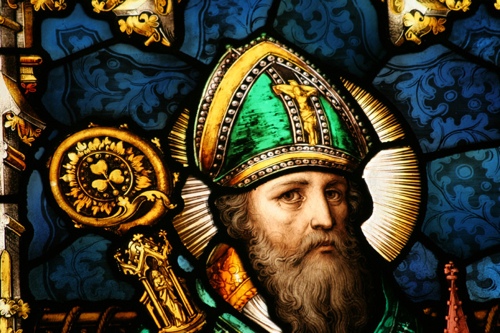 Their beloved St. Patrick, whose feast day we celebrate this week, brought Christianity to the pagan peoples of his adopted homeland. Ireland has never looked back. 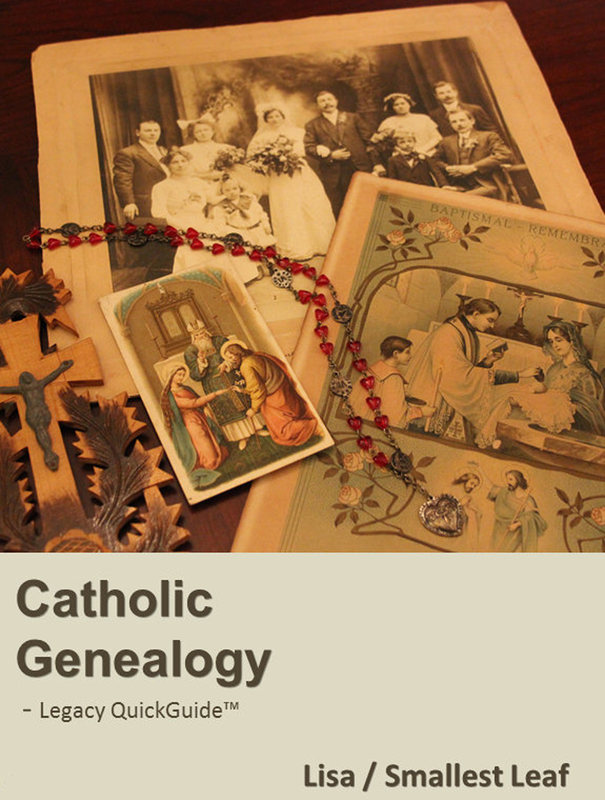 In honor of St. Patrick and the Catholic faith of many of the Irish people, The Catholic Gene focuses today on searching for ancestors in Irish Catholic records. Irish genealogy can be a difficult task to begin – particularly for those whose ancestors emigrated generations back. The first step in the process is to work with all available records for all known ancestors (and their family members) in your own country. Before you can even begin to do research in Ireland, you have to be able to focus in on the town and/or townland from which your ancestors hailed. For many of us, that location can take years to discover. Once you do make that breakthrough, however, there are a number of strategies for beginning a successful search for ancestors using Irish records. The records of Ireland’s Roman Catholic churches can be the best starting point and can play an important role in that search. Many a beginner seeking their Irish family tree has been disheartened by the news of the 1922 fire which destroyed all of the civil records (administrative, court and probate) that had been collected nationwide and stored at the Public Record Office of Ireland (some dating back to the 13th century). Thankfully, in the majority of cases, Roman Catholic registers were kept in individual parishes and did not suffer a catastrophic loss similar to the loss of civil records. They are, therefore, a much more comprehensive resource for the genealogist researching in Ireland. Before civil registration extended to all of the country in 1864, church records were the only registries to record family information. Although the Church of Ireland had a presence in the country, the majority of the people were Roman Catholic, and those Church records are important to many in their search for Irish roots. Throughout the 16th to 19th centuries, the Roman Catholic Church faced severe persecution by the state, and accurate record-keeping was not always in the best interests of the Catholic faithful. It is difficult, therefore, to find Catholic parish registers dated earlier than the 1820s. However, records can be found as far back as the 1680s in urban areas and in anglicized regions in the eastern half of Ireland, though they are rare. Irish Roman Catholic records with genealogical interest come in both the Latin and English languages (very rarely Irish) and are primarily limited to baptismal and marriage records. Unfortunately, burial registers for Roman Catholics are difficult to come by, and those that do exist are typically found in the northern half of the country. An interesting sidenote regarding burials in Ireland: Irish gravestones today represent only 1% of the population, so don’t count on finding too many ancestors’ gravestones in a local Catholic cemetery. If you can’t wait for the big online reveal by the National Library of Ireland, and also can’t make the trip in the mean time over to the National Library of Ireland yourself, try searching the LDS Family History Library Catalog. Approximately 30% of the Irish Roman Catholic Church registers have been microfilmed by the LDS – maybe you’ll find that your ancestors’ parish is within that group. Another great resource for Irish Catholic records is the strong network of heritage centers located in each county of Ireland. Visit the Irish Family History Foundation’s Roots Ireland website for information about county heritage centers throughout the island. The site features a map indicating each heritage center by county with links to a searchable index for each heritage center with an online presence (which is most of them). For a good start at learning which records might be available for your ancestors and where they might be located, visit the Irish Times’ Roman Catholic Records map of Ireland. The Irish diaspora throughout the world continues to keep alive a worldwide interest in Irish culture and genealogy. Thanks to strong loyalty to their ancestral land, there is a wealth of resources available to those researching their roots in the Emerald Isle. You might also enjoy my own two Irish genealogy blogs: Small-leaved Shamrock and A light that shines again. Article 2 of the Irish constitution states: “The Irish nation cherishes its special affinity with people of Irish ancestry living abroad who share its cultural identity and heritage.” On this St. Patrick’s Day, as you wear your green and take pride in your family’s ties to Ireland, The Catholic Gene – and this half-Irish author – wish you the luck of the Irish upon your genealogical search. Most of this article was previously published here at The Catholic Gene. It has been updated to reflect new available resources for Irish genealogy. Poet. Genealogist. Home educator. A proud descendant of early 20th-century Hungarian/Croatian and 19th-century Irish immigrants to America, I am the author of several blogs about various branches of my family tree and the creator of Legacy QuickGuides for Hungarian, Croatian and Catholic genealogical research. My first book of poetry was winner of the 2014 Eakin Book Award given by the Poetry Society of Texas. Visit me on the web at smallestleaf.com. PRONI’s collection is NOT limited to just historic Ulster, although that is the bulk of the collection. NLI’s collection is for ALL Ireland, not just what is now the Republic. I have spent many hours at NLI researching my NI ancestors in their collection of microfilmed church books. Thanks very much for that correction, Claire, I have clarified that information within the article. Thanks again for reading and taking the time to comment! And soon, God-Permitting, I will have 1/2 Irish Grandchildren!!! My Daughter is marrying her Love who is Irish! Thus, I shall be referring him to your site!! Thank you for letting me find you!